Working in the favor of Apple’s new retail store chief Deirdre O’Brien are 500-plus physical shrines to Apple products around the world that are usually jam packed. And the store designs look pretty sweet, too — J.C. Penney’s Apple stores are not. But make no mistake, O’Brien’s core tasks — taking Apple retail stores to the next level in terms of customer service and overall count —is nothing to scoff at. And the creator of the Apple store, Ron Johnson, is well aware of that, even though he is now watching his former employer from afar. “But I think Apple is the gold standard of retail,” added Johnson. Apple surprisingly parted ways this month with Ahrendts as its retail store chief. Ahrendts ceremoniously joined Apple in October 2013 after serving as CEO of luxury brand Burberry, where she led a dramatic turnaround by adding a sense of cool into the stores, clothing and online business. 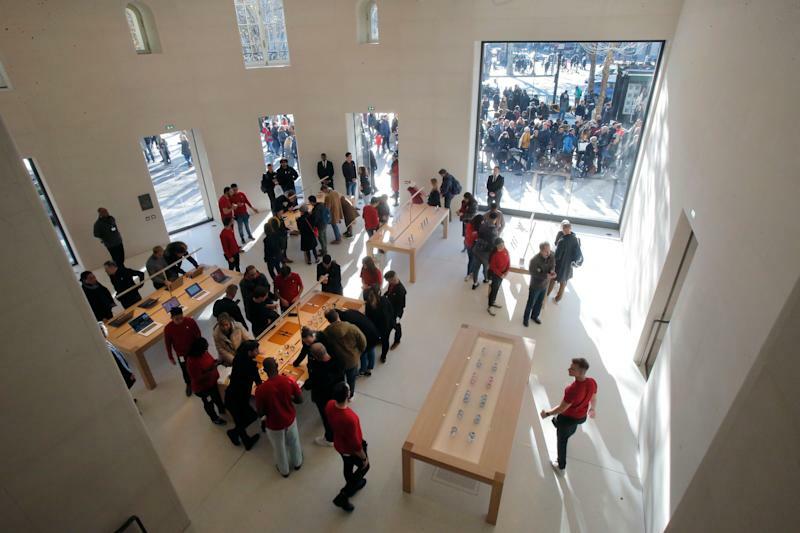 At Apple, Ahrendts pushed the company’s global retail store count to more than 500. The stores became fancier inside and out and more integrated with the online business. Stores assumed the role of a meeting place rather than solely a destination to buy the newest Apple product or to get a tech question answered. Ahrendts’s tenure is viewed as largely a success by most Apple watchers. But that doesn’t mean Ahrendts hands a well-oiled machine devoid of issues off to O’Brien. In some spheres, it’s talked about that Apple should double its store count to relieve store congestion. Others yearn for in-depth customer service at the Genius Bar or an ability to help answer basic questions on the fly. Apple could learn a thing or two on the service front from its partner Best Buy, believe it or not. Then there is Apple CEO Tim Cook’s new initiative to make it easier for people to trade in their older iPhones in the stores. Apple must strike a balance between attempting to aggressively up-sell customers (which it needs to do to jump start weakening iPhone sales) to new iPhones and actually addressing the reason the shopper made an appointment. How O’Brien pushes forward in China amid heightened trade tensions with the U.S. and cooling interest in pricey iPhones will also be carefully watched by investors. Apple doesn’t disclose the performance of it retail stores, so measuring O’Brien’s progress will be tough. That’s one issue that she may be unable to get fixed. An Apple spokesman didn’t return an email for comment in this story. Is Apple now suddenly a safe investment again?